live Crested Gecko! We want to ensure it gets the best care on the way to you. We do have some restrictions on shipping, and all are for the safety of the Crested Geckos we sell! Crested Gecko safety comes first! this also depends what time FedEx says they can deliver by. We only ship Mon, Tues. and Weds.!! We can ship 85f-100f to the same location as above. for pickup as well so they don't go around all day on a truck! You need to present ID for FedEx pickup. 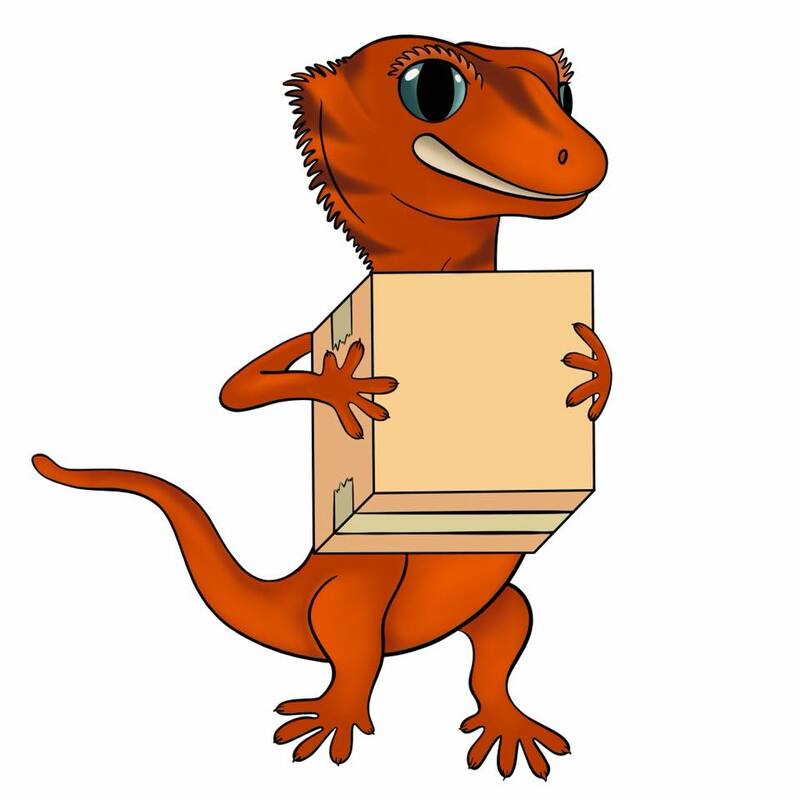 Crested Geckos like it cool, not hot, so this is the safest way for them to ship to you. ensure safe arrival of your new Crested Gecko! THERE ARE NO REFUNDS FOR WEATHER DELAYS, DROPPED TAILS IN SHIPPING, OR DOAS. Only store credit for replacements.